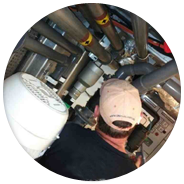 Our qualified technicians can install, repair, or rebuild boat plumbing and service and install most brands of watermakers and offer competitive pricing. To dispatch a highly trained and dedicated technician to your vessel’s berth on time and ready to take on any task. We are experts in plumbing systems and have state-of-the-art tools that will allow us to take on any job.